Now, photo critiques might seem a bit harsh. They might even seem pretentious, right? Of course, photography is an art and it’s meant to be left up to interpretation. However, photography is more than an art, it’s a technical trade as well; anyone that tells you one way or another is missing half of the story. Sure, there are artsy things one can do with photography, but to complete that art, you need to do things right technically as well. And while every image’s worth is subjective, a critique is incredibly important to the growth of the photographer. Even if the photographer doesn’t agree, it forces them to think beyond their own ideas and methods. For me, the growth I made as a photographer based purely on photography critiques I received from others was the single most important thing I did after switching to a DSLR. When I was trying to get my work accepted to a couple stock photography sites, I went from thinking my work was amazing to realizing how far I had to go. It took me three attempts to get my portfolio accepted. The first time I had 9 of 10 images rejected, all of which I thought were perfect. Sometimes, of course, it just takes another person’s eye to see where improvement needs to happen. Anyways, if you want a critique of your travel photography, head over to flickr and set up an album with 5-10 of your best images. Then, shoot me a message via my contact form with the link to that I promise that I don’t get harsh with anyone. 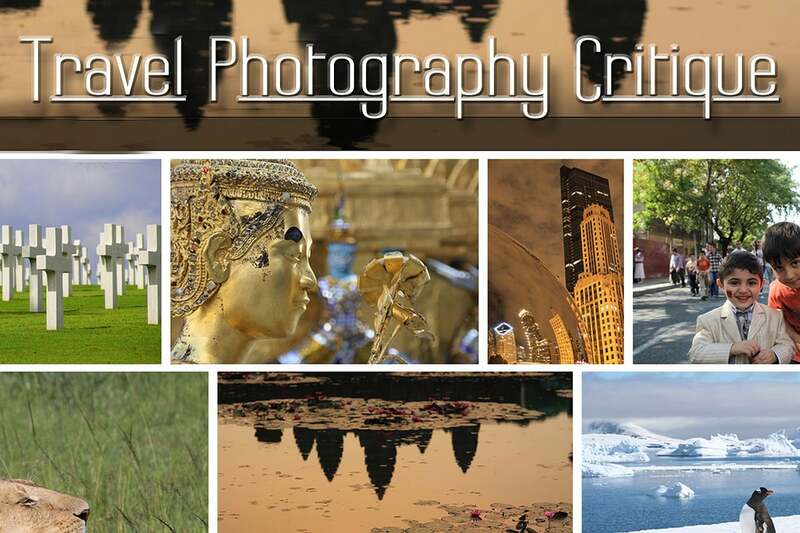 I’m here to give you constructive criticism and help you all improve as travel photographers. If you have any advice as to how I can start making money as I travel I’d love to hear it.